Mapping a pipelined application onto a distributed and parallel platform is a challenging problem. The problem becomes even more difficult when multiple optimization criteria are involved, and when the target resources are heterogeneous (processors and communication links) and subject to failures. 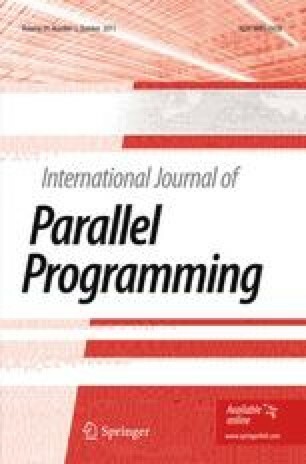 This paper investigates the problem of mapping pipelined applications, consisting of a linear chain of stages executed in a pipeline way, onto such platforms. The objective is to optimize the reliability under a performance constraint, i.e., while guaranteeing a threshold throughput. In order to increase reliability, we replicate the execution of stages on multiple processors. We compare interval mappings, where the application is partitioned into intervals of consecutive stages, with general mappings, where stages may be partitioned without any constraint, thereby allowing a better usage of processors and communication network capabilities. However, the price to pay for general mappings is a dramatic increase in the problem complexity. We show that computing the period of a given general mapping is an NP-complete problem, and we give polynomial bounds to determine a (conservative) approximated value. On the contrary, the period of an interval mapping obeys a simple formula, and we provide an optimal dynamic programming algorithm for the bi-criteria interval mapping problem on homogeneous platforms. On the more practical side, we design a set of efficient heuristics, and we compare the performance of interval and general mapping strategies through extensive simulations. Part of this work has appeared in ISPDC’2010 and in ICPADS’2010.